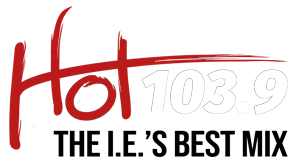 These rules govern the KHTI: promotion “Hot 1039’s Scratch n Cash” promotion (the “Promotion”), which is being conducted by KHTI (the “Station”). To enter, listen to the Station each weekday during the 9 AM PST hour and download the Mobii App and have the app open, every 10 minutes a digital “scratcher” will appear and will indicate if you are a winner of $100. There will be a total of (5) $100 winners each day during the one week promotion. Each winner will receive a digital pin number and a phone number to call in and claim their $100 prize. In the event that the selected caller is found to be ineligible, the $100 prize will be forfeited. There is no limit to the number of times a listener may participate in the “Scratch n Cash” promotion, but a listener may be a winner only once. The Promotion is open to all persons who are legal U.S. residents 18 years of age or older that reside in the Inland Empire. Void where prohibited or restricted by law. Employees, officers, directors and agents of the Station, All Pro Broadcasting Inc., their corporate affiliates, Station’s advertising and promotional agencies, participating sponsors, prize suppliers, their respective affiliates (collectively, the “Promotion Entities”) and other radio stations in the Los Angeles and Riverside-San Bernardino metropolitan area, the members of their immediate families (spouse, parents, siblings or children) and those living in the same household of each (whether related or not), are ineligible to enter or win. Entrants who have previously been disqualified from entering All Pro Broadcasting radio promotions are ineligible to participate in this promotion. This promotion is subject to all applicable federal, state and local laws and regulations. By participating, entrant agrees to comply with these Official Rules and the decisions of the Station, which are final and binding in all respects. The winner(s) will be solely responsible for all taxes and all other fees and expenses not specified herein associated with the receipt and use of the prize(s). Prize may not be sold to a third party. If a prize-related event is unable to take place as scheduled, for reasons such as cancellation, preemption, postponement or unavailability, including for weather, or for any reason beyond the control of the Promotion Entities, their sole responsibility to the winner(s) will be to award the remaining available elements of the prize(s) and no substitution or compensation will be provided for the un-awarded elements of the prize(s). The Station, in its sole discretion, reserves the right to deny entry to or to remove the winner(s) and/or guest(s) if either engages in disruptive behavior or in a manner with intent to annoy, abuse, threaten or harass any other person. $100 Gift Card (Prize) must be claimed at the office of the Station at the address below during regular business hours. The winner(s) will forfeit any prize(s) or prize certificate(s) not claimed within thirty (30) days of winning. In the event that a prize or prize certificate is mailed or shipped to the winner(s), it will be with the prior written consent of the winner(s) and therefore, winner(s) assumes the risk of its loss. The Station is not responsible for the safe arrival of a prize(s) or prize certificate(s). Odds of winning a Prize depends upon the number of Mobii downloads and listeners of Hot 1039 during the 9 am hour. Winner(s) must listen to the Station to win. Winner(s) need not be present to win.